Hours: Our tasting room is open Monday thru Thursday from 11 am to 4:30 PM – Friday thru Sunday 11 am to 5:00 PM and on special holidays. We welcome a phone call to accommodate off hours. We will make every effort to make your visit a pleasure. Our tasting room is open Monday thru Thursday from 11 am to 4:30 PM – Friday thru Sunday 11 am to 5:00 PM and on special holidays. We welcome a phone call to accommodate off hours. We will make every effort to make your visit a pleasure. 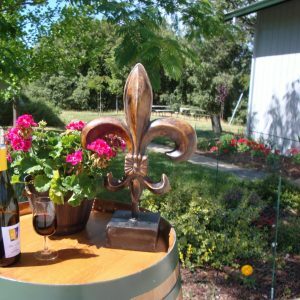 We hope you find our website helpful, a place where you can obtain information about our wines, the winery and its people – all things Fleur De Lys.